‘Arabeluj’ is the name I have given to a range of functional objects which look sculptural because of their use ‘fantastic’ forms and use of a wide range of materials such as wood and metal. My inspiration for these sinks came from Arabic baths, lslamic architecture, Art Nouveau, my travels and investigations into Surrealism. My response to these influences is deepened and developed by my own insight and fantasies. The work is partly made on the wheel and partly hand-built in crank clay. 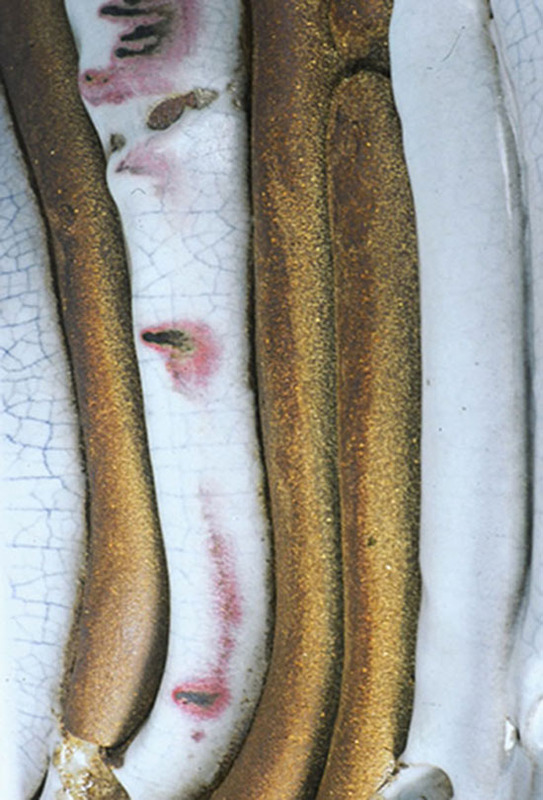 The work is fired several times to stoneware temperatures. The combination of clay, glaze and fire has enabled me to express my fantasies and create my own magical landscape.